In 2008, Joel Makovicka’s 13-year-old nephew, Derek Ruth, suffered a life-threatening brain injury playing youth football. 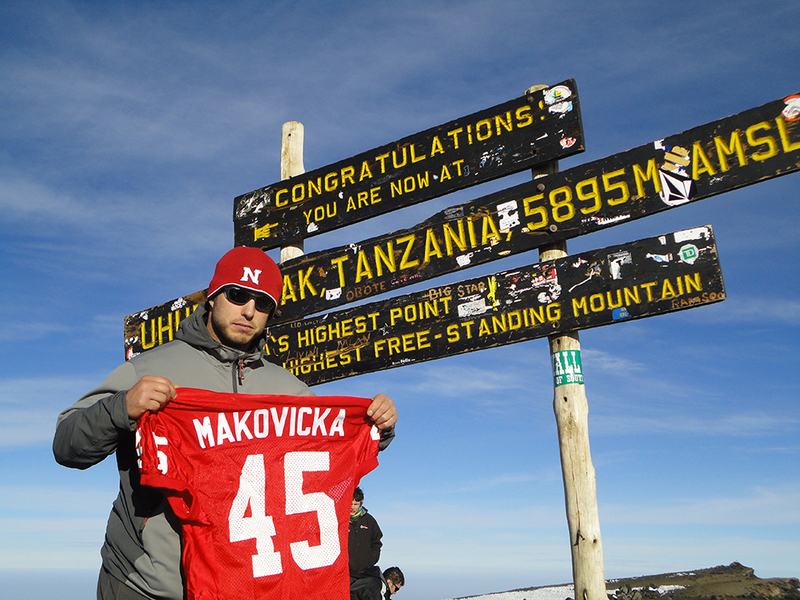 Joel decided to raise awareness and funds by dedicating this climb – his first - to Nebraska children who have suffered traumatic brain injuries. A physician referred him to Methodist's Travel Clinic for a consultation with the clinic’s medical director, Rudolf Kotula, MD, an infectious disease and travel medicine specialist. I was given exactly what I needed to avoid altitude sickness and other problems that can prevent a successful climb. Joel successfully completed his trek from Mount Kilimanjaro’s rain forest to the summit’s arctic zone for the 19,340-foot ascent of the world’s tallest freestanding mountain.